This is my favourite, and possibly one of the most popular myths in the animal kingdom. In fact, if you start typing into google: are koalas… the first dropdown is: are koalas high? The idea that we’re not the only species on the planet that gets drunk or stoned is gratifying. That this intemperate animal should be Australian resonates with the world view of Australia: a land of friendly, sozzled creatures lazing about in the sun. Let me say it clearly: Koalas ARE NOT DRUNK ON EUCALYPTUS. There is no alcohol in eucalyptus to intoxicate them. They do rest a lot but its not due to a hangover. Read about why koalas rest a lot. Myth 2. Koalas only eat one type of gum-tree. They live all over eastern Australia and only eat one type of tree? Golly, its no wonder such a fussy animal is dying out. Don’t fear – this myth is not true either. Koalas in the You Yangs near Melbourne have been recorded eating every one of the 15 species of eucalypt in the park. All over Australia, the gum-trees they eat number in the hundreds of species. This myth may have started from some early scientific research that showed that koalas have a high preference for certain species of eucalyptus in certain regions. That can be true in some places, but not in others. In the You Yangs, 34% of koala sightings are in River Red Gum trees. The rest of the time they are in Blue Gums, Yellow Gums, Ironbarks, Sugar Gums, Red Box, Manna Gums – you get the picture. 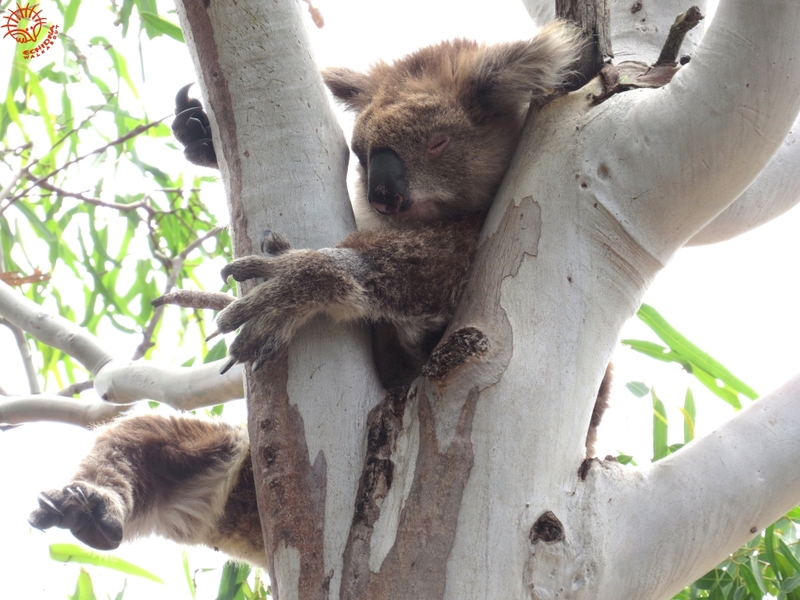 Read about our Wild Koala Research and how we note every tree we see a wild koala eating. Myth 3. Koalas are slow. As a koala researcher, I almost wish this was true. Many times I have left a resting koala, just for 10 minutes, and return to find they have completely disappeared. A koala can run on the ground at around 32km/hour, and if frightened, can leap up a tree in 2 metre bounds. Myth 4. Koalas are docile and love to be petted and cuddled. Koalas are wild animals. Like most wild animals they prefer to have no contact with humans at all. Two independent scientific studies: a 2014 University of Melbourne study (1) and a 2009 study (2), found that even captive koalas, born and raised in a zoo, experienced stress when humans approached too close to them. In the wild, Echidna Walkabout Nature Tours have found that 10 metres is the closest you should ever be to a koala. Any closer, and the koala’s behaviour changes – they stop resting or feeding, they stare at you nervously. Unfortunately for koalas, they look cute even when they’re terrified. I’m not saying that a koala has never enjoyed being petted. We can only guess what they enjoy and what they don’t. A koala orphan being raised by a wildlife carer may enjoy being petted by their carer. But being petted by a stranger? All the evidence suggests that koalas do not enjoy that, and it may even be harming them. However, seeing a koala in the wild, at a respectful distance does not harm them. It may even benefit them. Read how here. Myth 5: Koalas are overpopulated and hanging out of trees everywhere. This myth comes from two partial-truths – the first is historical: there was once a time when koalas were very plentiful across their range. But that time is long gone. 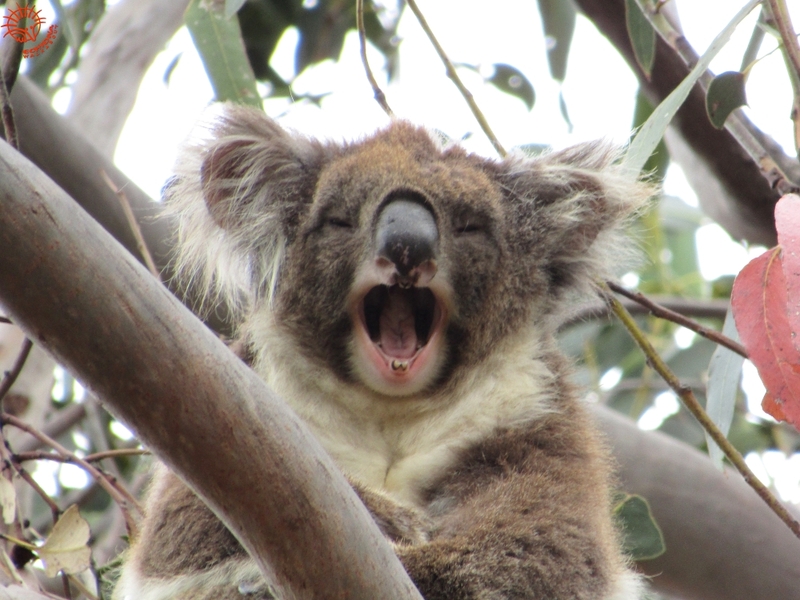 The other partial-truth is current: There are five to six small pockets in southern Victoria and South Australia where koalas are overabundant (4), for reasons that are not understood, despite the research efforts of the best Koala Ecologists. These populations receive a lot of media and research attention, which makes them seem larger than they are. A lot of tourists visit them too, and post pictures that reinforce the myth. The majority of these overabundant populations are in Victoria, yet the overall Victorian koala population is still declining at a rate of 14% – which suggests severe declines in the rest of Victoria. Our own research in the You Yangs has shown up to 46% decline over 10 years. 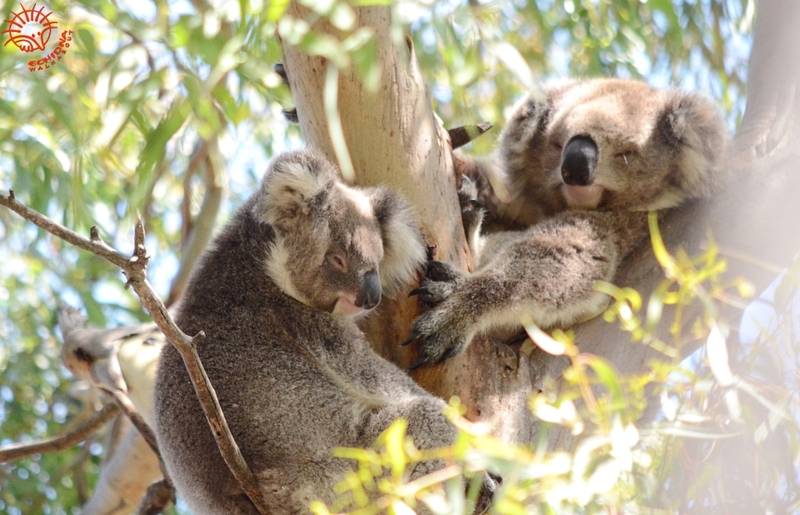 Read about some of our You Yangs koalas here. Koala Bobo is the most popular! The truth is that koalas are on a path to extinction, but we still have time to act to save them. Help us help them by coming on our 21 or 15 day Maximum Wildlife tour, 4 day Wildlife Journey, 3 day Great Ocean Road or Sunset Koalas & Kangaroos tour – or recommend to your friends. This is why Australians are getting behind Wild Koala Day on May 3 every year. Wild Koala Day is about connecting koalas with habitat protection. If we are all to enjoy koalas, we need them to survive in the wild, not just in captivity. Act now to save them. On Wild Koala Day, May 3, plant a tree, protect a forest and phone a politician.